Monday the 25th of April will see a special service for the memory of Lieutenant George Fullerton of the Irish Citizen Army and his wife, Elizabeth Fullerton who served in Cumman na mBan both lived at 52 Bow Lane west, James’s Street. George was shot and wounded at 7.55 am on the 25th April 1916. He had supervised the evacuation of St Stephens Green and the retreat to the College of Surgeons. He was captured and subsequently interned in Frongoch Prison Camp. 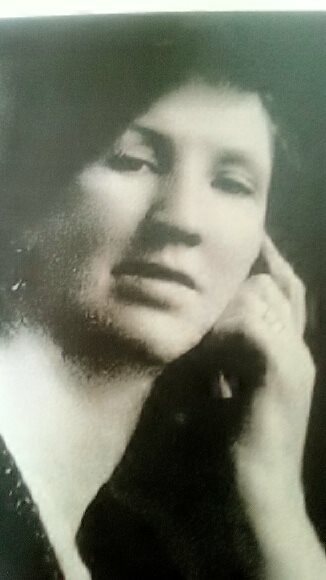 On that same day at approx 3.30 pm, Elizabeth was carrying a dispatch from James Connolly in the GPO to Commandant Ned Daly’s outpost at North King St. Elizabeth had been to Liberty Hall earlier that day looking for news of her husband, she checked into the GPO and was assured that George was well. Connolly asked her if she would pass on a message to Commandant Ned Daly’s position. Having delivered the dispatch she was returning home to her five children when she was caught in crossfire on Church St. She was shot in the leg and she carried that bullet to her grave over 40 years later. Upon George’s return from Frongoch, the couple had triplets who’s godmothers were Constance Markievicz, Dr Kathleen Lynn and Grace Gifford. They were subsequently known as the “Republican Triplets” and each was named after their respective godmother. The service will take place at St James Church, James Street at 10 am, this will be followed by a trip to an especially reopened St James Graveyard across the road for a blessing of the graves. The graveyard has not been opened to the public for nearly 30 years. All are welcome to attend the service and blessing. The graveyard contains some 750 headstones and among some of its more famous dead are Ms Margaret Leeson, the notorious 18th century brothel keeper, Sir Toby Butler (Solicitor General under James the Second) as well as a number of members of the British Army, the Irish Volunteers and the Irish Republican Army. Hi when will this mass be taken place ? Would it be possible to visit the grave yard for photos and possibly an article for the Irish military story magazine. I’m his grandson. Eldest son of George Fullerton, his eldest son. Sorry i could not have been there to celebrate this great day. I was born in 1947 so I never knew him. But I knew my granmother very well. Hi Derek, I’m Patrick son of George’s second son Joseph born 1910 who passed away in 1957. My sister Pauline and I were taken away and put in institutions and do not have any contact with “family”. I live in England now. Pauline passed away in 2013. I do remember a story from Kathleen Brennan who is alleged to have said Granny hated Monday as it always rained. Unbeknown to her Kathleen’s kids were pouring water out the window from above so Kathleen could get the washing done!!!! Hi everyone, I am George Fullerton’s grandson and I’m also called George Fullerton. Christopher was my father! I am living back in Dublin now, actually in HSQ, near Bow Lane. I lived abroad for many years. I am wondering if anyone knows of other family members who are buried in the grave or in the cemetery. I am trying to locate the grave of Anastasia Ryan (nee Fullerton). She is the sister of George Fullerton. She died in 1927. Anastasia’s daughter is my neighbour (in her late 90’s)and she has been trying for some time to locate where her mother is buried. My 3rd Great Grandparents lived in 50 Bow Lane.